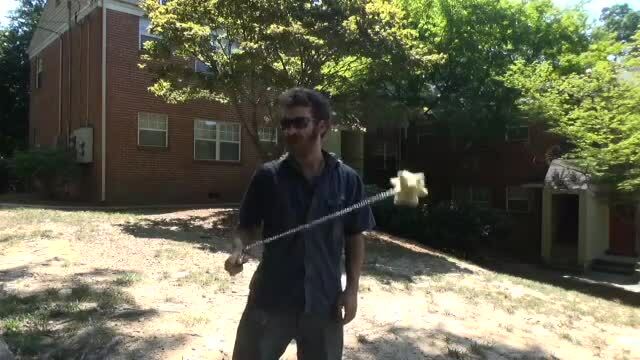 Introduction to the Fire Flail, using the Home of Poi Fire Flail with the Deathstar Head. The naming structure is based around this being a pseudo-weapon, and is action dependent. Kind of a "what you're doing" instead of "how you're doing" approach, as well as an acknowledgement that a lot of this stuff is in the form of a "terminating" movement that will often end in a stall or redirection; especially horizontal movements and considerably more so with a martial style. All other terminology, such as what plane you're moving the head on, flower patterns, shots, etc, should be fairly uniform across other props, though I have included my astrological spin-point system. Using the keywords [flail qr introduction] we found the following similar topics.